Posted on: February 20, 2017 By: Christopher Brown, Esq. Anyone who has been arrested and is facing criminal charges has a big decision to make—and it must be made swiftly. That decision is whether to represent yourself in court, choose to have an attorney appointed for you, as is your legal right, or to hire your own criminal defense attorney. Even in cases where the charges seem minor or the facts of the case appear cut-and-dry, there are many reasons why it would be wise to consider hiring your own criminal defense attorney as early in the judicial process as possible. Avoiding a conviction in court is only the beginning. Most people have seen a criminal case dramatized on television at some point, and, as a result, believe they have a good concept of how things work. In reality, the criminal justice system is complex and difficult to navigate, and doing or saying the wrong thing can result in serious consequences. Beyond understanding the law, which is a monumental task in and of itself, what happens both before and during a criminal court case carries a great deal of nuance. Everything from the personality of the prosecutor and judge to the current political climate can affect the way a case is pursued, the verdict, and the final sentence that is handed down. It is the criminal defense attorney’s job to not only to know the law, but also help the accused to navigate the details of the system. The average person cannot be expected to be aware of all of the possible consequences of each potential outcome, the precedents and influences that will come to bear on that outcome, or all of the approaches to the case that can determine how it ends. But that information can make a big difference, and an experienced criminal defense attorney often has this information. A criminal defense attorney understands the law as more than simply a rule written down in a codified manner. When approaching a criminal case, the attorney combines knowledge not only of the law under which charges have been filed, but also of how previous similar cases have been handled, which defenses have been successful and which have not, and which previous rulings have bearing on the case. While anyone can read up on the criminal code, a criminal defense attorney brings a far deeper knowledge to the table than can be obtained by even the most thorough reading. Even if the accused did have the time to study the law pertaining to their case in great detail prior to going to court, which is unlikely, they would still lack the personal experience of working with the law that an attorney can offer. The prosecution will enter the court with all of the knowledge available on their side; a criminal defense attorney gives you the same edge. When a person is arrested on suspicion of having committed a crime, it is the prosecutor who holds the power to lay charges. Hiring a criminal defense attorney the moment you have been arrested, before the prosecutor can make a decision regarding which, if any, charges will be laid against you, can change the course of the entire case. In fact, in some cases, a good attorney will be able to prevent charges altogether. Both before and after an arrest, the state is gathering evidence and preparing a case against the accused that is designed to ensure a conviction. It is not in the state’s interests to assist the accused in any way, which is the reason for the reading of the Miranda rights – to remind the person being arrested that their words and actions can and will be used to build the prosecution’s case. Allowing a criminal defense attorney to speak on your behalf can prevent you from saying something that could incriminate you, which is why it benefits you greatly to hire an attorney immediately, before speaking to the police and before you are officially charged. An attorney will run interference between you as the accused and the police and prosecution. Each step of the way, a good attorney will ensure your rights are being protected and that every effort is made to block the charges, reduce the charges, or ensure that your defense is being built as solidly as the prosecution’s case. Although courtroom action is far more dramatized on television, much of what happens in a criminal case goes on behind the scenes. One of the biggest benefits of hiring an attorney to represent you occurs in the pre-trial negotiation stage. Prosecutors have the power to decide how and when to charge suspects, and they will frequently bargain with the criminal defense attorney, particularly if the case is not as strong as the state would have hoped. A defense attorney who has worked in your local court system before knows the prosecutors and the judges, and can bring that knowledge to bear in the bargaining stage. Knowing the various quirks, strengths, and weaknesses of a particular prosecutor is a powerful tool that allows your attorney to decide how to approach the negotiations. Successful negotiations sometimes result in dropping of charges, but they can also result in reduced charges. One of the major benefits of having an experienced attorney is that they will know when bargaining for lesser charges is the right move. When you have been charged with a criminal offence, odds are good that you are not in your most calm and clear-headed state. In a situation charged with emotions such as fear and anger, most people are not in the right frame of mind to make good decisions. That means that, on top of making less-than-informed choices, you might also make choices fueled by emotion when it comes to handling your own case. That can be disastrous, and will only serve to help the prosecution. A criminal defense attorney will not only help you make informed choices, but will also give you clear, objective advice. This will provide a realistic look at your options and the likely outcomes. This information may sometimes be difficult to hear, but facing the reality of your situation will ensure that you make the right choices. A criminal defense attorney will be able to tell you when to accept an offered deal or when to refuse based on a clear analysis of the details of the case, and he or she will be able to honestly tell you the odds of winning your case. 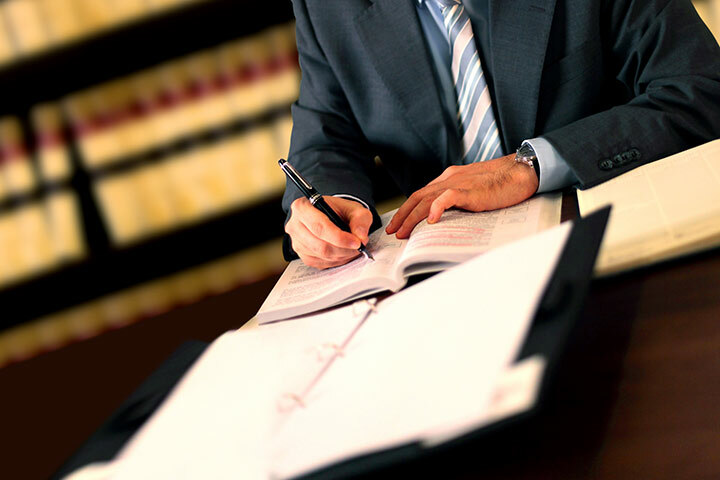 A good attorney will immediately begin gathering information pertaining to your case, both the good and the bad. That means not only gathering evidence and witnesses that can help you, but also knowing what information the prosecution has and plans to use against you. Particularly if you are incarcerated while awaiting trial, it can be difficult to gather that sort of information yourself. Furthermore, an attorney will be granted greater access and know what avenues to pursue to build the best possible defense. Experience helps your attorney realize information that might not appear important on the surface, but will make a difference in your case. He or she will also know which pieces of evidence will most help the prosecution and thus will require a carefully planned defense. The experience required to know how to build a strong defense and what to expect from the state’s case cannot be underestimated; it is one of the biggest benefits of hiring a good criminal defense attorney. You need to find and hire a criminal defense attorney the moment you are arrested. The earlier an attorney is at your side representing you, the more you will benefit from their expertise, knowledge, and bargaining power. Most people are new to facing criminal charges when they are arrested, which can make finding an attorney challenging, particularly in a very stressful time. Although you may never need one, it is a good idea to take a little time to get to know the best criminal defense attorneys in your area so that if the time should ever come, you will have a name at hand. While there are good public defenders out there, they are often facing a heavy caseload and may not give your case the attention it needs. Hiring an attorney privately ensures that you have someone on your side that will bring to bear all of the necessary resources to fight for you. Of course, public defenders are only available to those who do not have the financial means or resources to hire their own attorney. A good attorney should have plenty of experience and a good track record not only for winning at trial, but also for negotiating dropped or lesser charges. Look for people who are local and work in the courts where you have been charged to hire someone with the inside information on prosecutors and judges that can really affect the outcome of your case. Criminal charges against you can be far-reaching and impact every aspect of your life, from your job to your family. It is not worth taking the risk of the many consequences you could face; exercise your Miranda rights and hire a criminal defense attorney immediately upon your arrest. You do not have to face the criminal justice system alone. Contact The Brown Firm PLLC for more information.